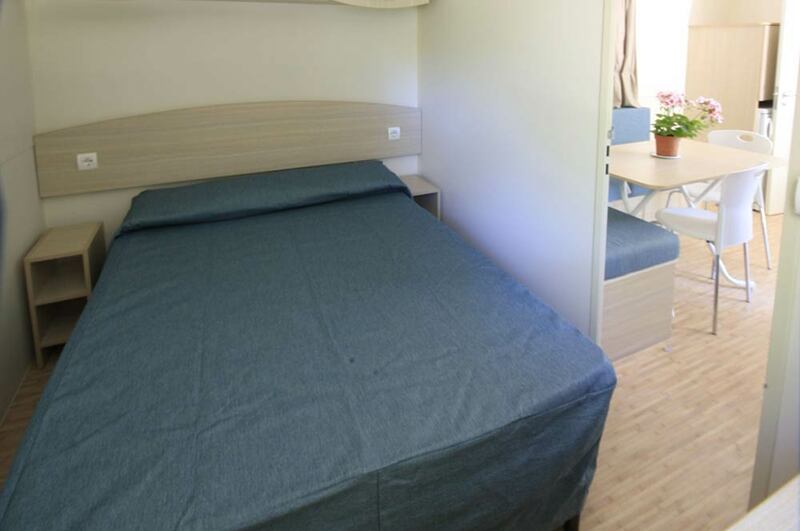 Campeggio del Forte is your campsite for families in Bibbona: book your Mobile Homes sleeping 5, perfect for the accommodation of children and adults. Large about 24 sqm, they are composed of living area with sitting room, kitchenette and single sofa bed, while the sleeping zone has a double room and a twin room with bathroom with shower box. The offer is completed by an external veranda with table and chairs.